These sweet and spicy snap peas are ready in minutes and make a perfect side dish or healthy snack. I cannot seem to get enough snap peas lately. Since I started working out again, I’ve craved something cool and quick after I exercise. 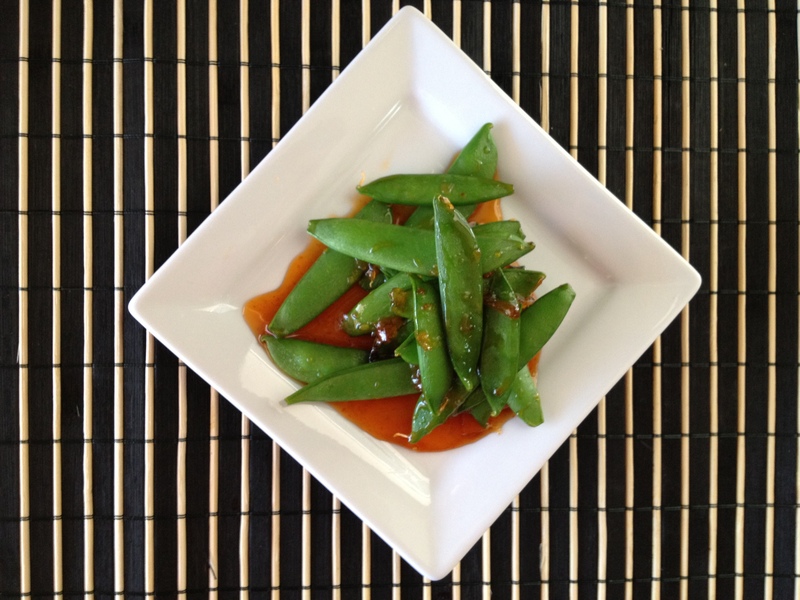 A handful of cold snap peas is a perfect little sweet and crunchy snack for a post workout cool down. 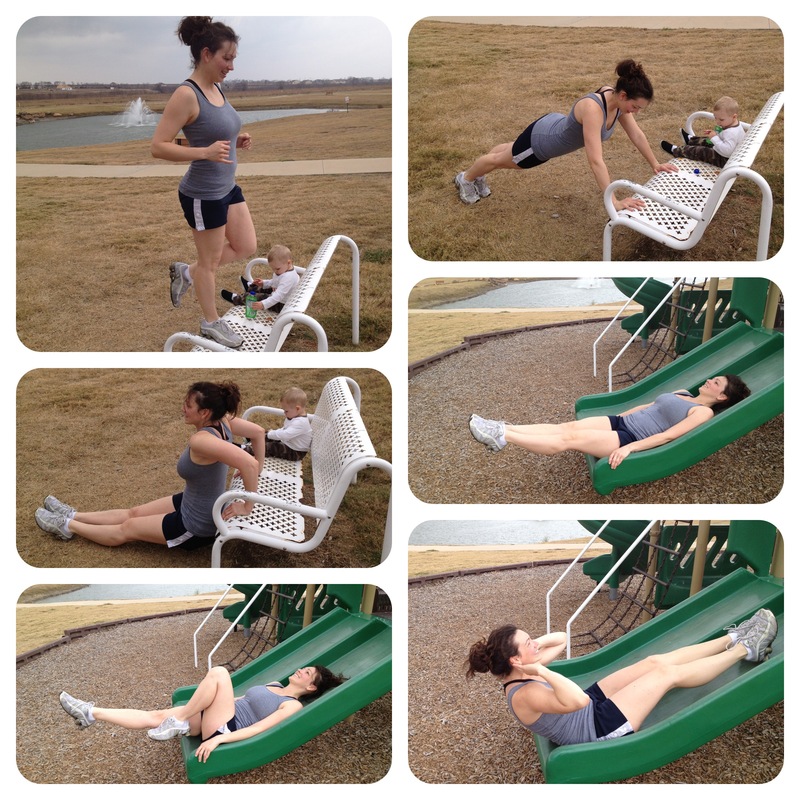 Resourcefully using the playground equipment for a Sunday afternoon workout/jog with the family. ….to a headwrap, multiple layers, down vest, and gloves on Monday. Bundled up for our first cold front of the season. Instead of needing a crisp snack to cool down with, I needed something to help me thaw out after that workout. 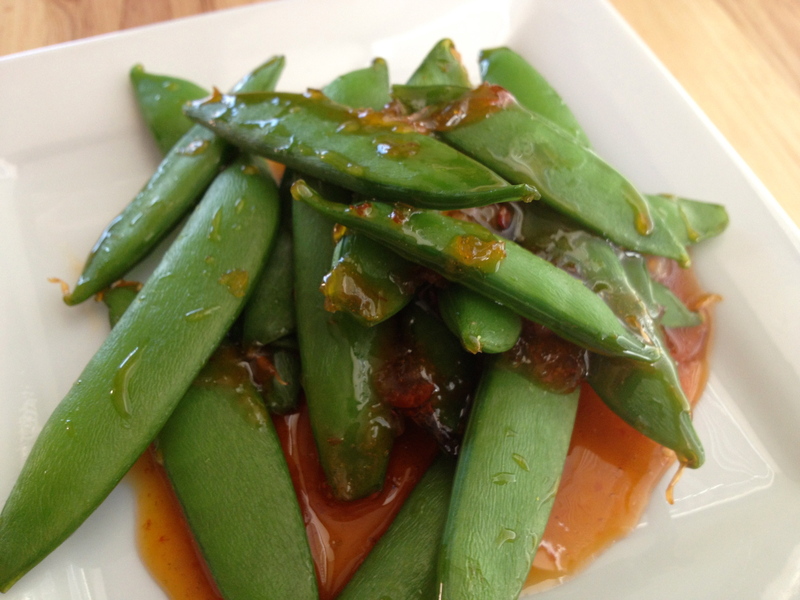 Like a hot bath for starters, and these warm sweet and spicy snap peas that are literally made in a snap. Three ingredient, five minute side or snack. Sweet, spicy, delicious. 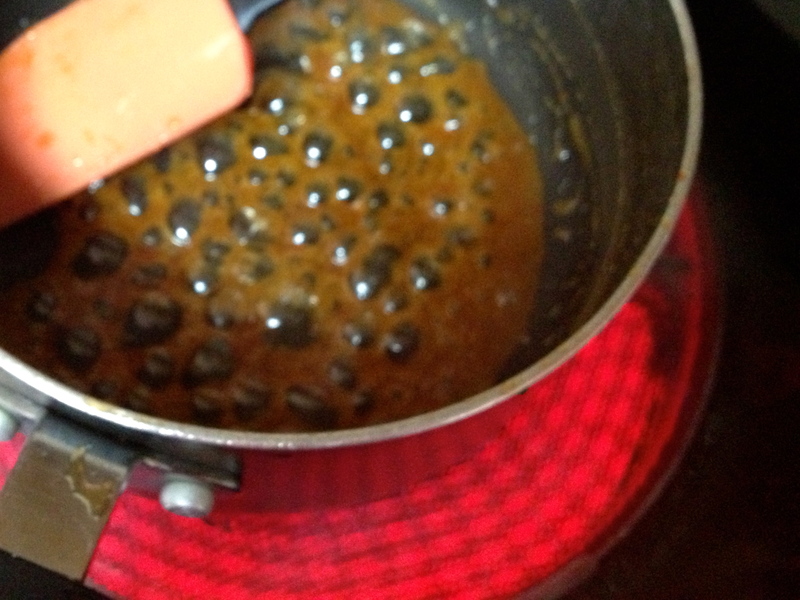 In a sauce pan, bring the sweet chili sauce to a boil, stirring constantly until it reduces by about half. Add in the snap peas and stir until coated and just warmed through. Sprinkle with salt and serve immediately. 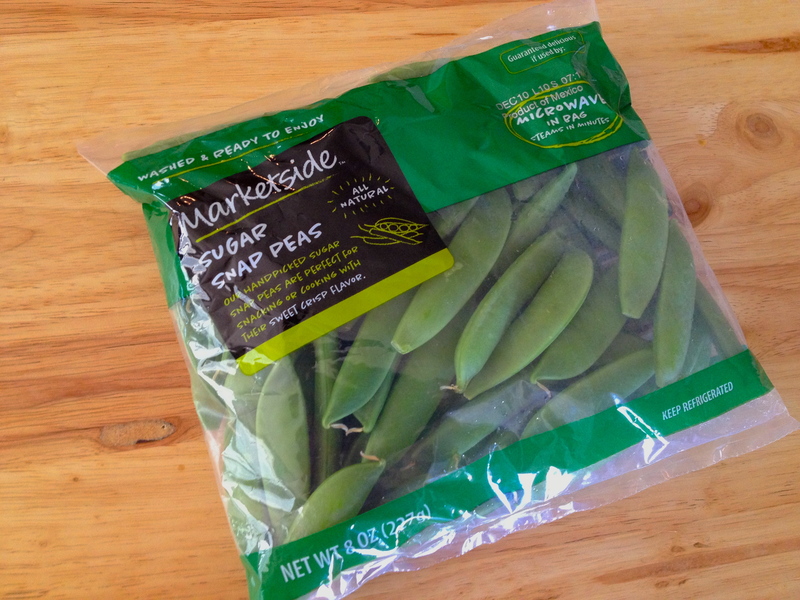 Sugar Snap Peas are easily found in most super markets. 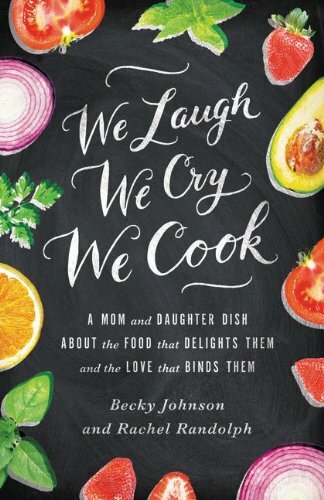 I’ve seen this in the Asian aisle of many grocery stores and at specialty stores like World Market. 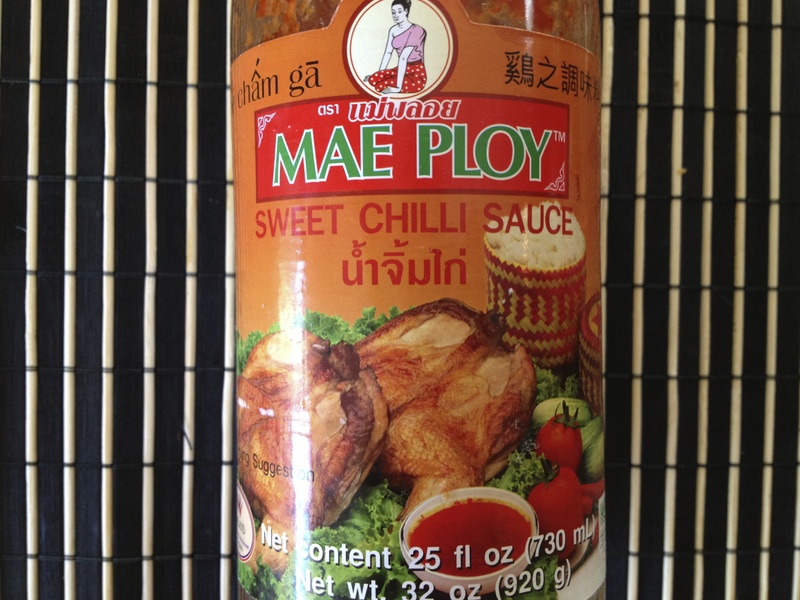 Bring sweet chili sauce to a boil, stirring constantly. 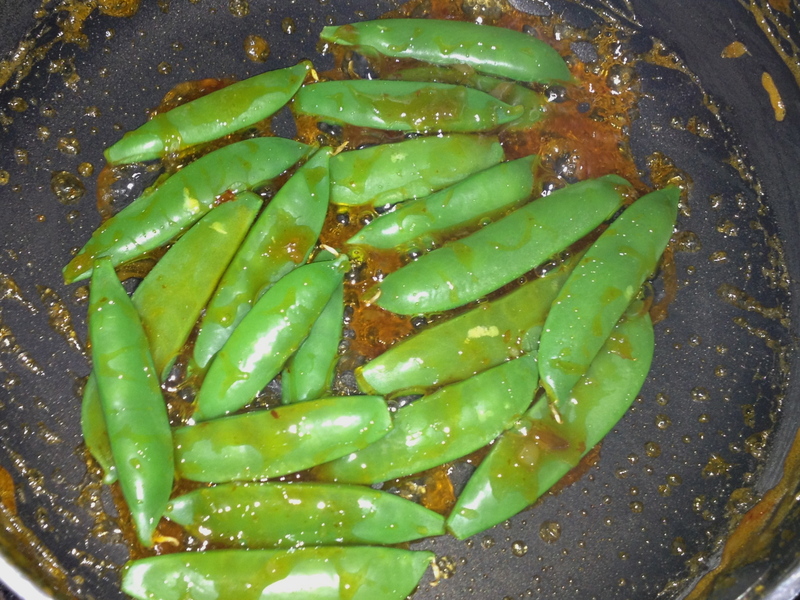 Add snap peas and stir until coated with sauce and just warmed through. Sprinkle with salt and serve immediately. Serve alone as a snack or appetizer, or as a side with something like rice and Teriyaki Tofu or Chicken. HaHa, we had to bribe him with a squeeze pouch, which lasts about 90 seconds, then quickly snapped some shots. The rest of the time, he played with his daddy. He’s a little young for me to get a park workout in while he plays solo. Bench pressing a 4-year old, now that’s impressive! 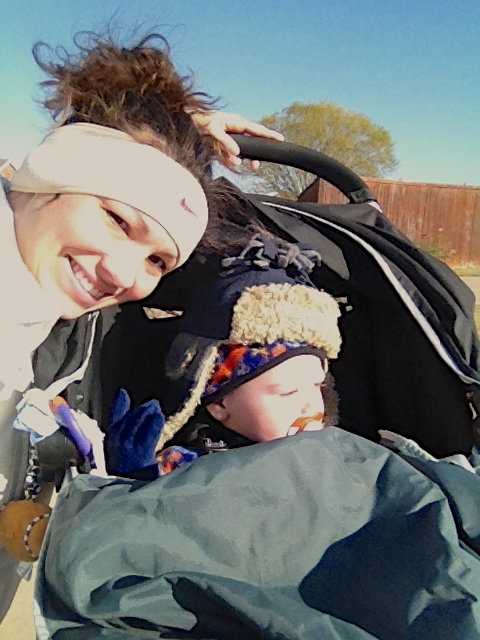 I’m realizing that you just have to get creative when it comes to staying in shape as a momma. You just find what works for you and go with that. I’m realizing my gym rat days are over. I’m way too picky about who I leave Jackson with and that’s okay. I’m finding other ways.